Before social media broke down the wall between celebrities and private citizens, the closest we got to glimpses of our favorite Hollywood darlings’ actual lives came in the form of paparazzi photos. 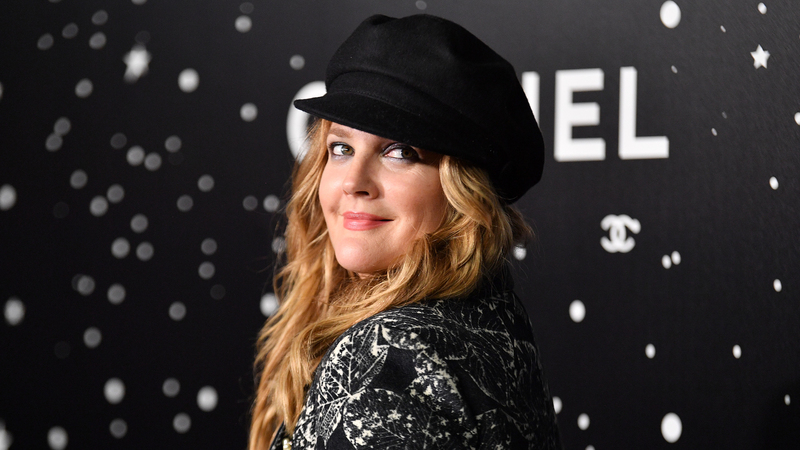 Now, with platforms like Instagram and Twitter, celebrities like our forever fave Drew Barrymore can far more candid with their fans — which can have both positive and negative effects. In Barrymore’s newest Instagram campaign, #TheWayItLooksToUs, she’s seeking to shed light on what life looks like on the ugly days, and it’s pretty inspiring to see. The experience inspired her to launch a series of photos examining the sometimes difficult parts of life, like kids, relationships and wellness. In her post about kids, Barrymore compared a painting of perfectly put-together young girls in matching dresses and hair bows holding milkshakes with a video of her own daughters, covered in powdered sugar. In her post about life, she compared a photoshoot with her makeup and hair done to a photo of herself crying, makeup-free. Barrymore’s post about wellness compared a fitness ad to what it looks like when she works out, and finally, her post about relationships was a candid look at her marriage and subsequent divorce from her daughters’ father, Will Kopelman, from whom she split in 2016. #TheWayItLooksToUs : LIFE What I propose some days are great and beautiful Sure, I can be this with two hours of hair and makeup and amazing photography and lighting. I also feel beautiful after a sweaty workout… But it all takes work! Which is good because we can achieve it. What I can’t hide is that some days are difficult and not so pretty… (swipe for photo #2 and I realize I am lucky with solvable problems and my gratitude is never ending. But sometimes life can just get to you and take you down for a minute! But we cry and then pick ourselves up and put one foot in front of the other) Can anyone relate? Barrymore’s candor about her life has always been worthy of appreciation, but this series of photos has us particularly grateful for her presence on Instagram. Life isn’t always glamorous, and we’re glad that Barrymore is recognizing that and inviting others to do some self-examination as well.